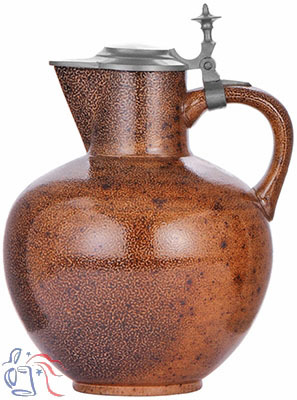 Stoneware, glazed, 2.0L, pewter lid. This model number (2211) was sold undecorated (shown here) or displaying either of two enameled Hohlwein images. Enameled versions are designated 2211/12 (not currently available) and 2211/21.